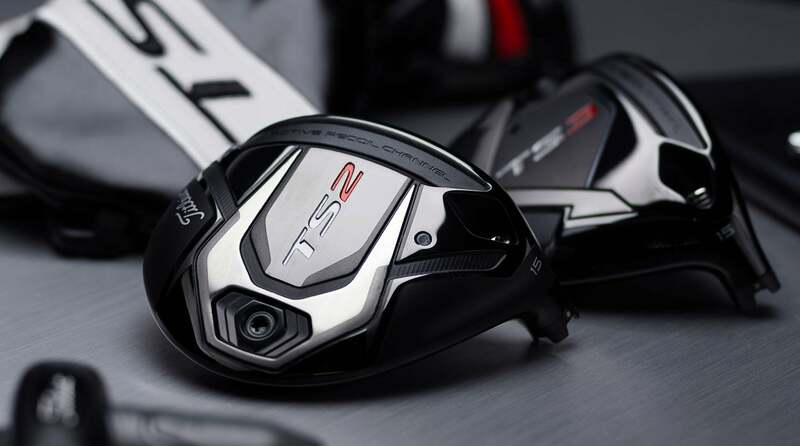 The new Titleist TS2 and TS3 drivers and fairway woods are the result of a concerted effort by the company to improve distance results in its long clubs. Titleist engineers have been designing top-notch drivers for some time, as witnessed by major wins by players like Jordan Spieth, Jimmy Walker, and others. However, it's also fair to say that the company's handsome big sticks were somewhat known for being a bit shorter than those of some competitors due to slightly higher spin rates and a design aimed at more control. To remedy that situation the folks at Titleist started the “Titleist Speed Project,” a plan to develop faster woods that provide maximum distance, higher launch, and ultra-competitive performance overall. 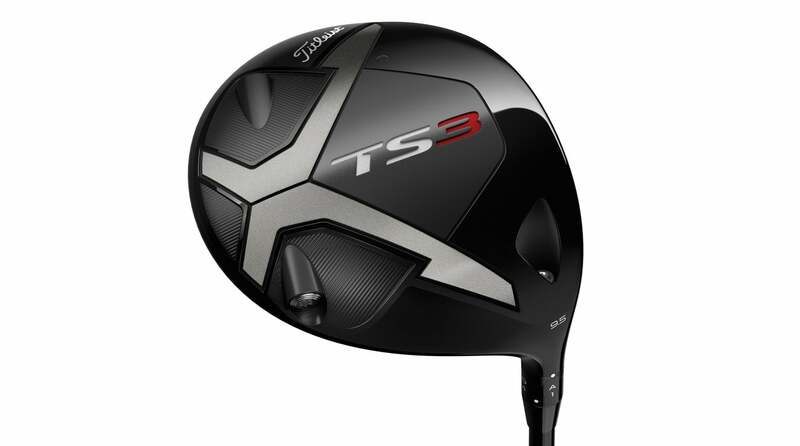 As a result the TS2 and TS3 drivers represent a whole new level of speed and distance for the company's big sticks. 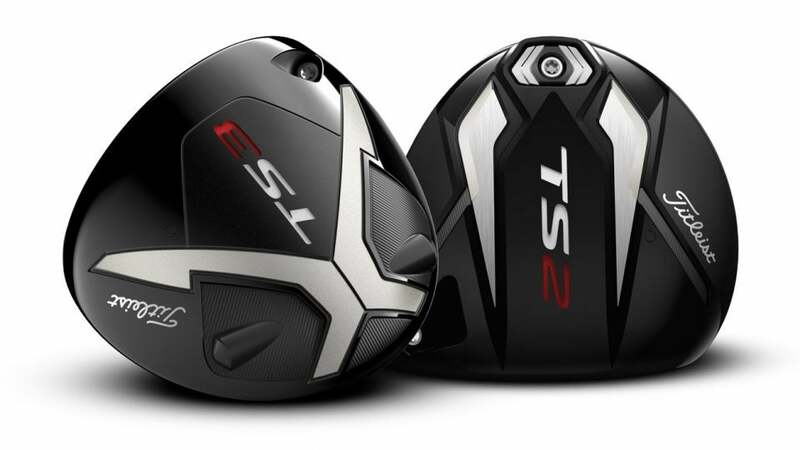 In addition are TS2 and TS3 fairway woods, which benefit from the “speed project,” almost as much as the drivers. TRANSFORM YOUR GAME WITH A CUSTOM CLUB FITTING FROM TRUE SPEC Check them out and see if one is right for you, but keep in mind the TS2 is aimed at those who want high launch, low spin distance and forgiveness while the TS3 is aimed at those who want mid launch, low spin, and enhanced workability. The new Titleist TS2 driver. The new TS2 features several design elements that contribute to making it significantly longer than the previous 917 D2 including an extremely thin titanium crown that's approximately 20% thinner. This improvement saves weight and lowers and deepens the CG for improved launch and carry distance. 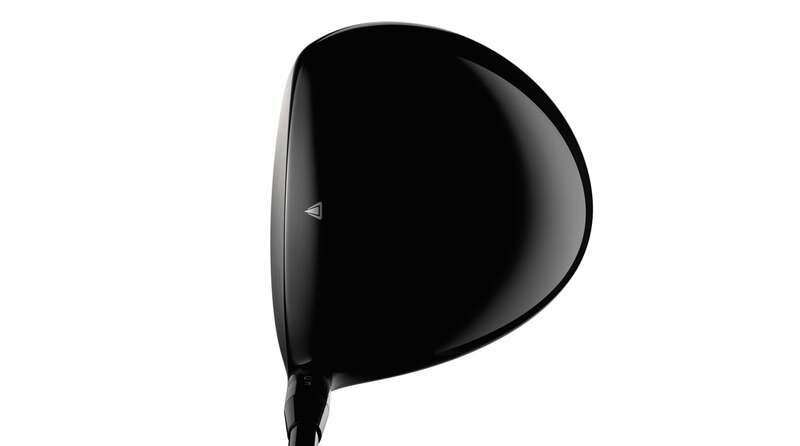 As a result of the weight savings in the crown and variable thickness clubface the TS2 actually features the lowest CG of any Titleist driver to date, increasing MOI over the previous 917 D2 by as much as 12%. A view of the Titleist TS2 driver in playing position. In addition a thinner clubface, which is six grams lighter and the fastest of any Titleist driver thus far, significantly increases ball speed at impact. The new, lighter and thinner face is actually so thin the scoring lines need to be created by a laser. 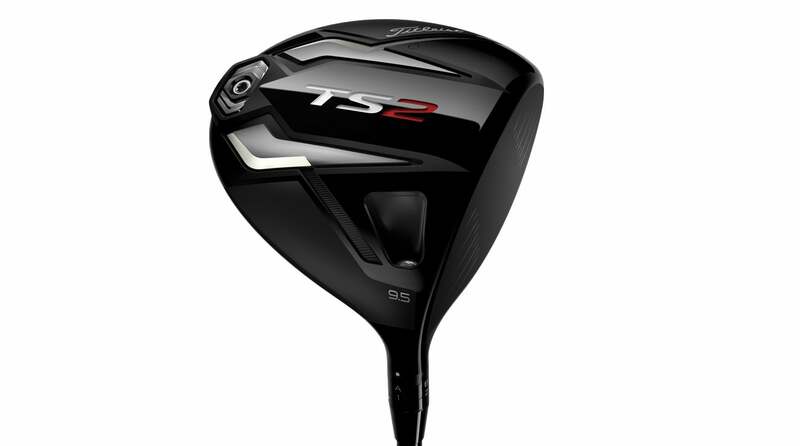 If you're looking for a combination of distance and forgiveness, the TS2 could definitely be the ticket. The new Titleist TS3 driver. Like the TS2 the TS3 features the same thin titanium crown for lower and deeper CG location, thinner and faster clubface for more distance, and improved aerodynamic shape for more swing speed. There are differences however, including most notably more adjustability in the form of Titleist's SureFit CG technology that allows for more specific spin rate and launch angle tuning. The TS3 also features a more traditional pear shape and tends to produce more of a mid-launch as compared to the TS2's higher launch. 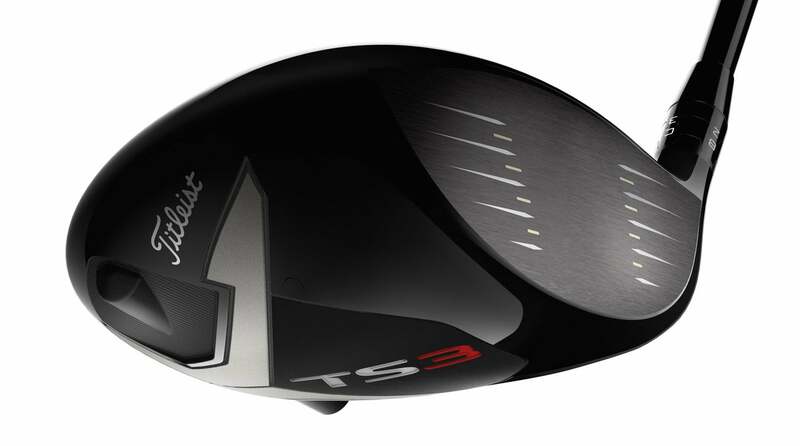 The Titleist TS3 driver is fully adjustable. 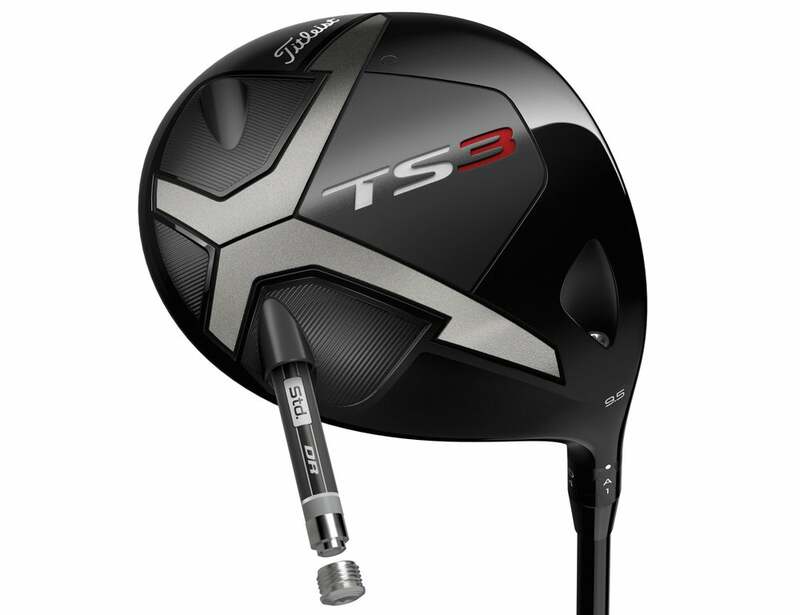 For players who demand more workability in a driver and more specific tuning, the TS3 is the choice. Both the TS2 and TS3 are available with Kuro Kage Black Dual Core 50, Tensei AV Series Blue 55, HZRDUS Smoke Black 60, and Even Flow T1100 White 65 shafts, as well as other custom shaft options. A view of the face on the Titleist TS3 driver. $299 each, titleist.com Both new TS fairway models feature similar technologies as the drivers including extremely thin crowns that are 27% thinner for lower and deeper CG locations, thinner clubfaces with variable thickness for more ball speed, distance and forgiveness on off center hits, and better weight distribution for higher MOI and stability. In addition, both models feature an improved version of Titleist's Active Recoil Channel technology in the sole, creating more face flex, particularly on low hits, yielding higher launching, lower spinning, longer shots. The new Titleist TS fairway woods. As is the case with the drivers, the TS2 fairway features a fixed CG location that's low and deep for high launching, mid-spin shots while the TS3's CG can be customized via Titleist's SureFit CG technology. In general the TS3 will produce a slightly lower trajectory than the TS2 and offers more shot shaping versatility. The TS fairways comes standard with a choice of Kuro Kage Black Dual Core 55, Tensei AV Series Blue 65, HZRDUS Smoke Black 70, and Even Flow T1100 White 75 shafts.